The most common question that individuals ask before they ever take a prescription drug is, "What are the side effects?" Before you pop another pill, you must understand how medication side effects directly affect your body today and in years to come. Medications are tested in a laboratory until the chemical reaction that they are designed to achieve is reproducible. The direct effects of this lab testing must be consistent before these chemicals are ever tested on animals or people. Once human testing begins, scientists measure the impact of these medications to see if they cause the same direct effects that were induced in a laboratory. If these effects are reproducible, the testing continues to see if any other effects occur. These are called "Side Effects" because they were not present in the laboratory setting and their impact on humans was outside of their intended effect. In actuality, these side effects are direct effects of these drugs on the body. Because we are all unique in our body chemistry, direct effects, labeled side effects, impact people differently, and they are much more common than people think. The direct effects of Lipitor, for example, are constipation, gas, headaches, stomach pain, weakness, rash, hives, itching, difficulty breathing, chest pain, swelling of the mouth or face, bone, joint or tendon pain, change in urination, fever, chills, sore throat, flu like symptoms, joint pain, muscle pain, tenderness, weakness, bowel changes, skin changes, swelling of the hands or feet, yellowing of the eyes or skin. 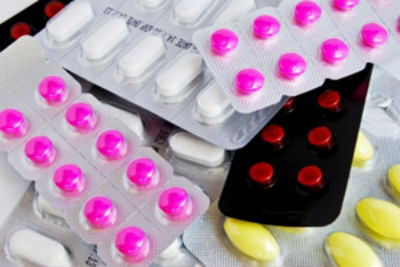 This "incomplete" list, according to drugs.com, shows that while Lipitor may affect cholesterol levels in the body, there can be dozens of other direct effects that impact you in an unhealthy way. Drug companies prepare a list of side effects for the consumer, while also listing additional side effects that doctors should be aware of. If you go to drugs.com and type in any drug, then select "side effects," you will notice that the side effects to the consumer take up half a page while the side effects/direct effects for the physician to be aware of might be up to a dozen pages. Most people are unaware of all the effects that medications can cause, and often treat these symptoms with other drugs. This is dangerous because the interactions between drugs can cause even more severe direct effects. Too many people unknowingly go down this road until their body chemistry and health is completely screwed up. Thomas Edison saw this coming over 100 years ago stating, "The doctor of the future will give no medicine but will interest his patients in the care of the human frame, in diet and in the cause and prevention of disease." The future is now. Our office will help you and your loved ones adjust your lifestyle so that you enjoy good health for a lifetime.